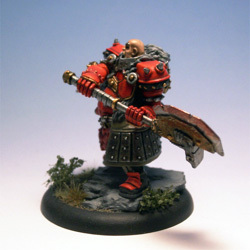 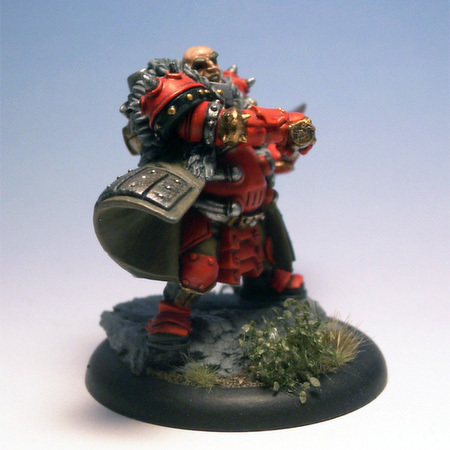 This is the new Butcher model from 2010. I like his dynamic pose, which fits the character much better than the original one. 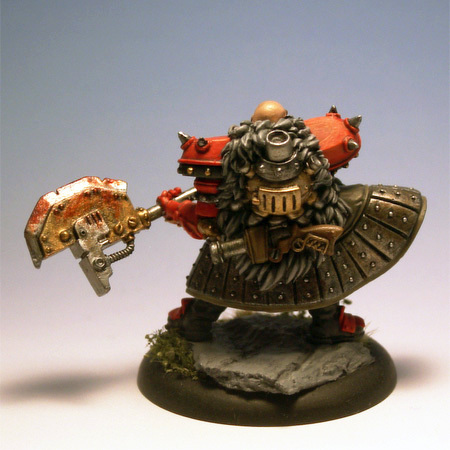 The stone on which the mini stands was crafted with modeling putty and the rest of the base was decorated with MiniNatur grass and brushes. 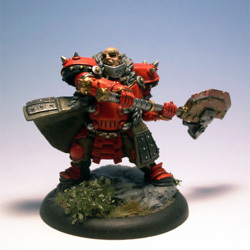 The Butcher is a potent symbol of the consequence of treachery against Empress Ayn Vanar. In the protective casing of his modified suit of steam-powered armor shaped from the hull of a warjack, he is a force of destruction, a one-man wrecking crew. Soldiers across western Immoren cannot purge the vision of the axe-wielding giant from their nightmares: a man become a living personification of warfare and bloodshed.